NEW YORK (WABC) -- The New York Mets honored the family of the FDNY deputy chief killed in a Bronx house explosion. 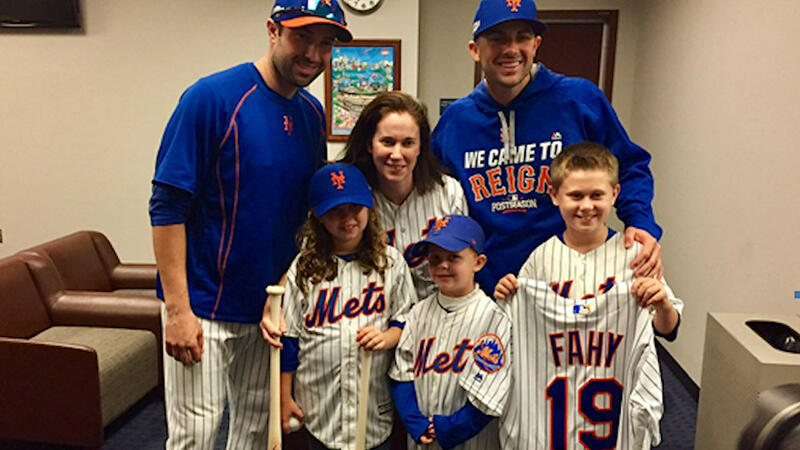 The FDNY posted on their Twitter account Wednesday night that Mets players Neil Walker and David Wright greeted Chief Michael Fahy's wife Fiona, daughter Anna, and sons Michael and Cormac. They even presented them with a Mets jersey that had Fahy and the number 19 on the back of it. Fahy was a deputy chief with Battalion 19. Before the wild card game against the San Francisco Giants began, the Mets called for a moment of silence in Fahy's honor at Citi Field. His son Michael threw out the first pitch as his family watched on the field. 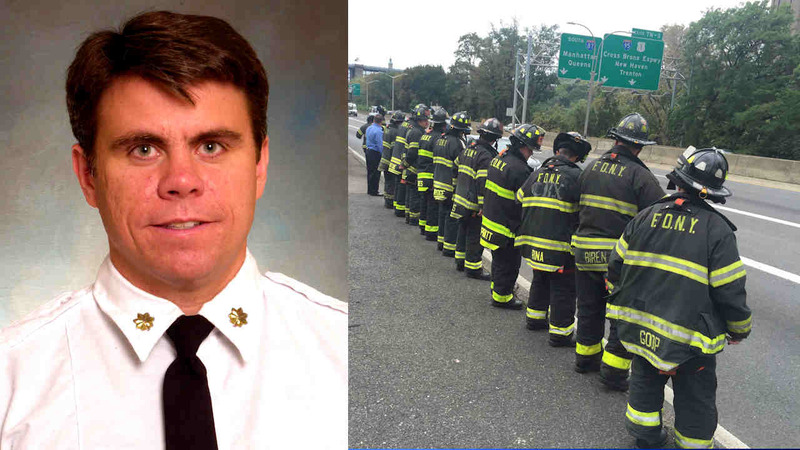 The 17-year veteran of the FDNY was killed last week when a suspected pot growing operation led to a house explosion. He was struck by debris from the blast. Two people were arrested in connection with the fatal explosion.